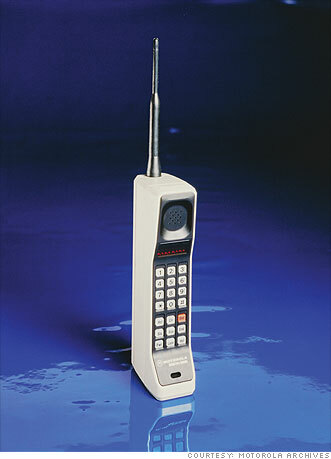 Motorola debuted the DynaTAC 8000X in 1983, the first portable cellular phone for consumer use. Better known as the phone that Gordon Gekko carried (lugged?) around in the 1987 movie Wall Street, the DynaTAC weighed 1 lb., 12 oz. Motorola actually invented the DynaTAC 10 years before it reached store shelves. But the company also had to develop and build out the cell tower infrastructure that made mobile phone calls possible.